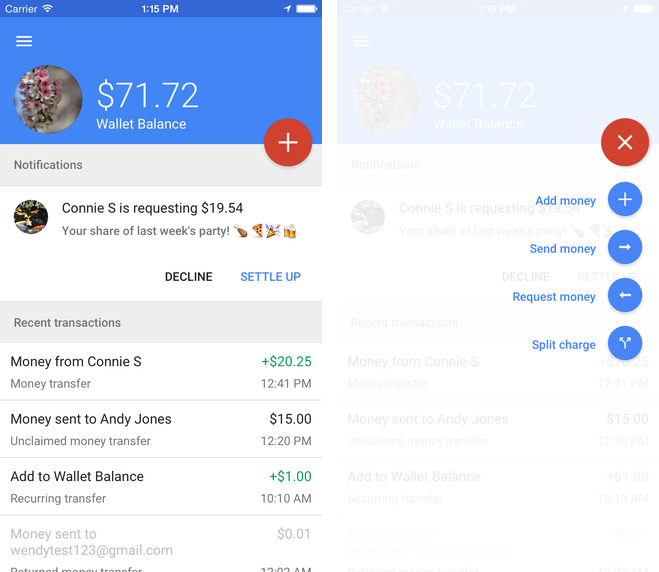 The Internet giant Google has upped the ante in the mobile payment arena with Tuesday’s refresh to its Wallet iOS app. The new version brings out support for Touch ID allowing owners of the iPad Air 2, iPad mini 3 and the iPhone 5s and onward to unlock the app with their finger. And with native display support for the 4.7-inch iPhone 6 and 5.5-inch iPhone 6 Plus display resolutions, the app now takes full advantage of the screen real estate available to owners of Apple’s latest handsets. In addition to Touch ID and iPhone 6 support, this edition of the software includes another new feature for calculating transaction costs. This lets you easily figure out how to split the dinner bill. Just pick any charge, add the people you want to split it with, choose how you want to divide it up and they’ll receive a request for their share of the total, as shown above. Finally, Google has fixed a problem with the app refusing to open for some users and has made it so that users can access their loyalty and gift cards without an Internet connection. 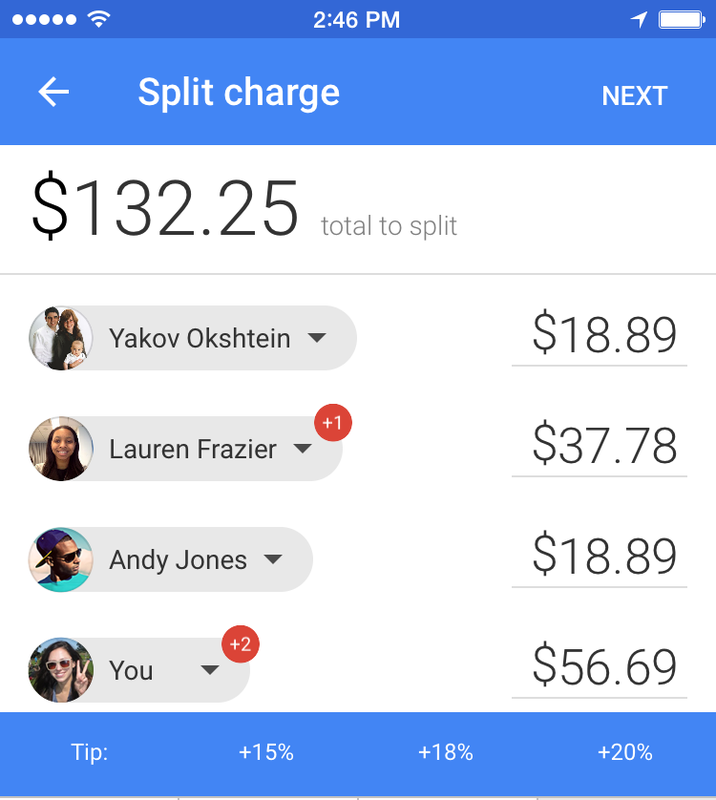 Use Google Wallet to divide the cost of any transaction. Set up Touch ID for secure and quick access to Google Wallet. Access your loyalty cards and gift cards even when you’re offline. Now supporting native screen resolution on iPhone 6 and iPhone 6 Plus. Fixed problem that was preventing some users from opening the application. The 21-megabyte app is iPhone-only and requires iOS 7.0 or later. Speaking of mobile payments, the iPhone maker revealed today that its Apple Pay service now supports cards that represent about 90 percent of the credit card purchase volume in the United States, an increase from the 80 percent mark when the service launched two months ago. And Samsung is reportedly looking to create an Apple Pay of its own for an introduction sometime in 2015. Re/code reports that the South Korean conglomerate is currently in talks with payments startup LoopPay, which doesn’t require NFC and is compatible with nearly 100 percent of credit and debit cards and payment terminals. At the same time, The Wall Street Journal reports that Google is looking to jump into online commerce by adding a Buy button to its Shopping app for iOS and Android. 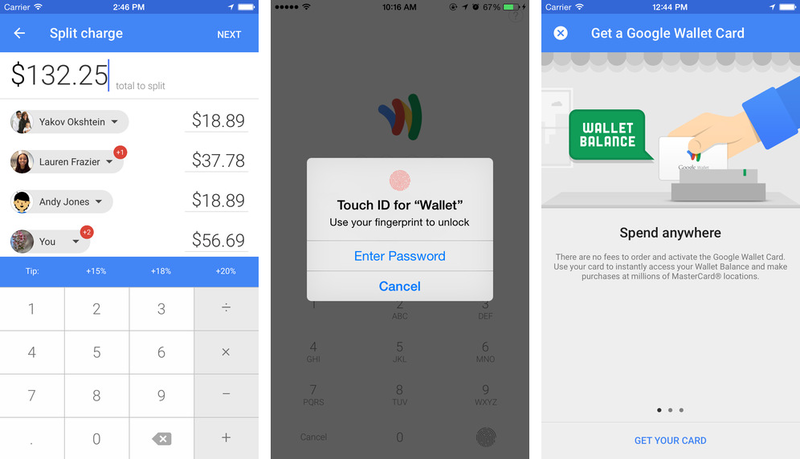 Download Google Wallet for free in the App Store.